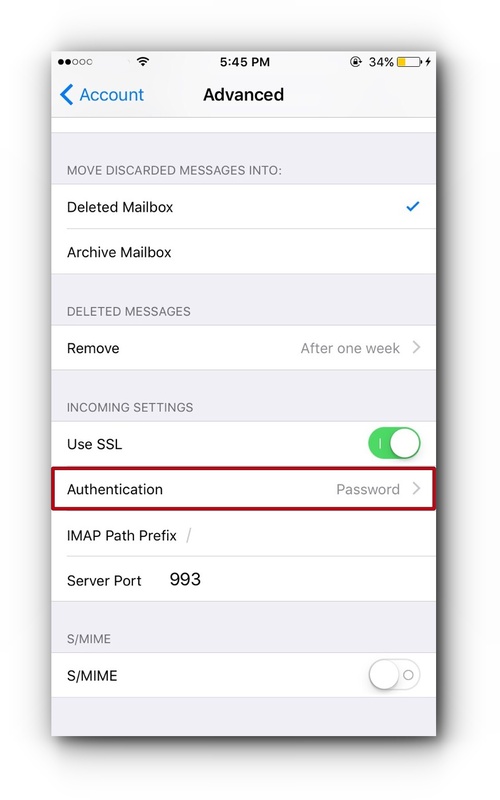 This article contains instructions on how to enable SMTP Authentication for mobile devices (apple mobile device and android). Please be guided by the step-by-step instructions below. Step 1. 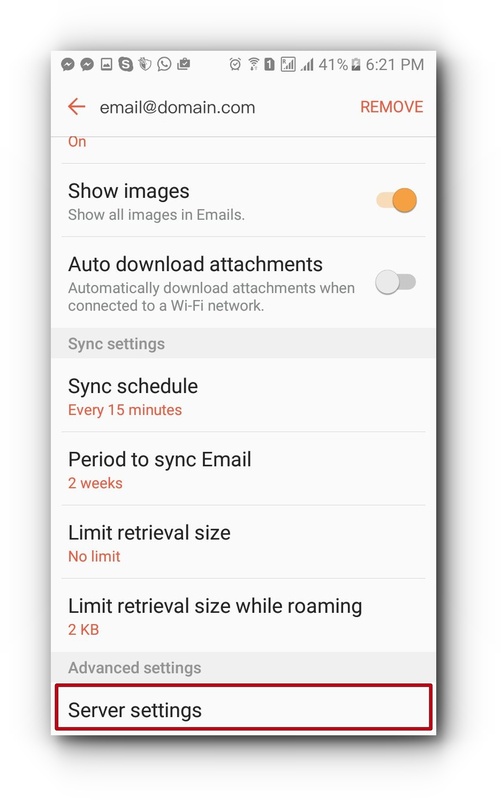 Go to Settings, Mail, Accounts. Step 2. 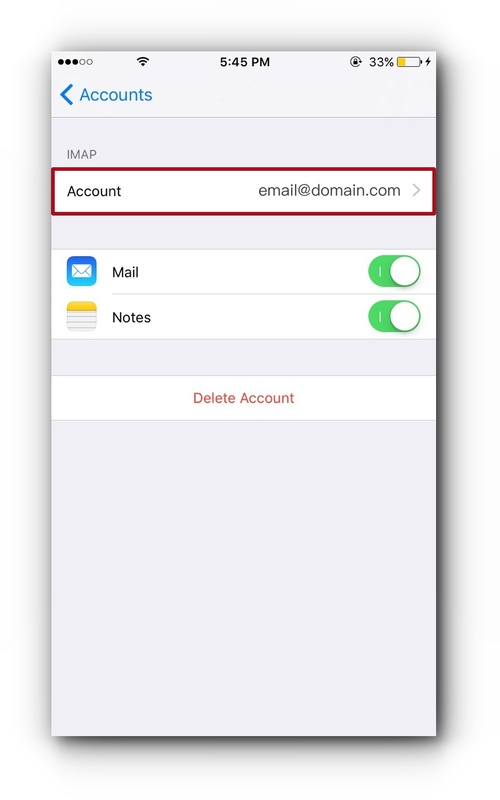 Select the email address. Step 4. 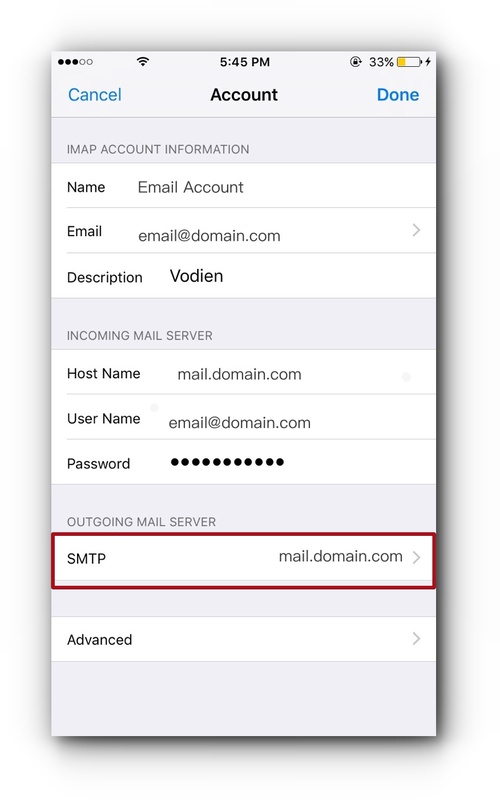 Look for Outgoing Mail Server and tap SMTP. Step 5. 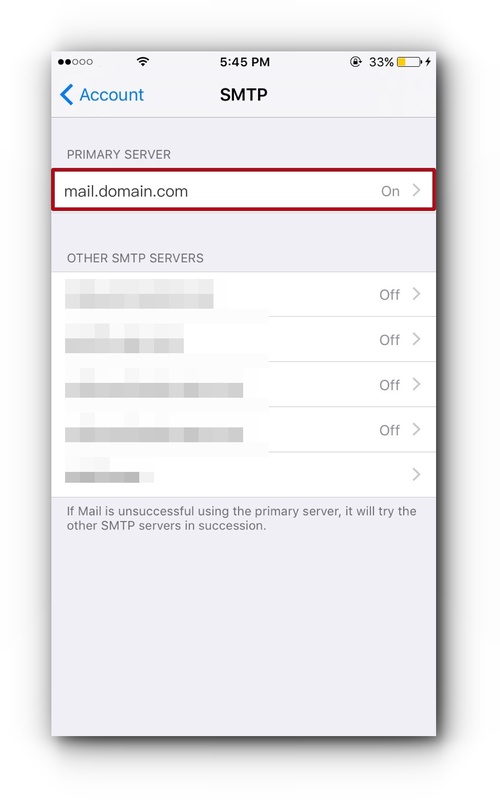 Tap the Primary Server. Step 6. For the Authentication, select Password and tap Done. Step 7. Go back to the Account and tap Advanced. Step 8. 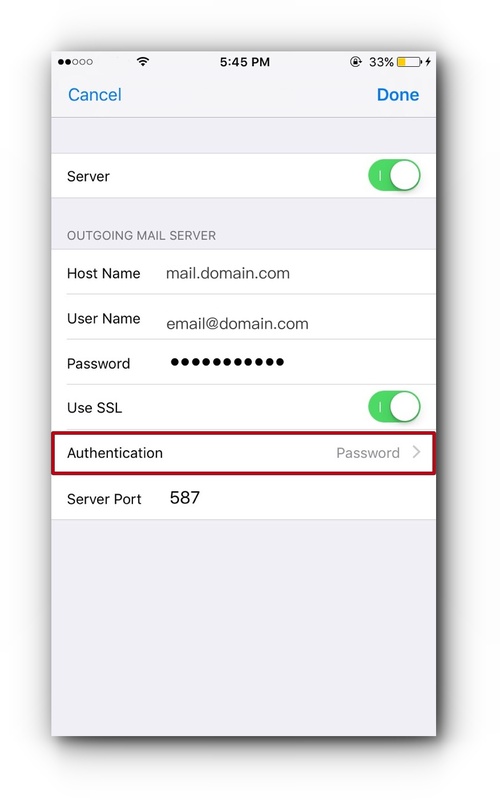 For Authentication, select Password. Step 1. 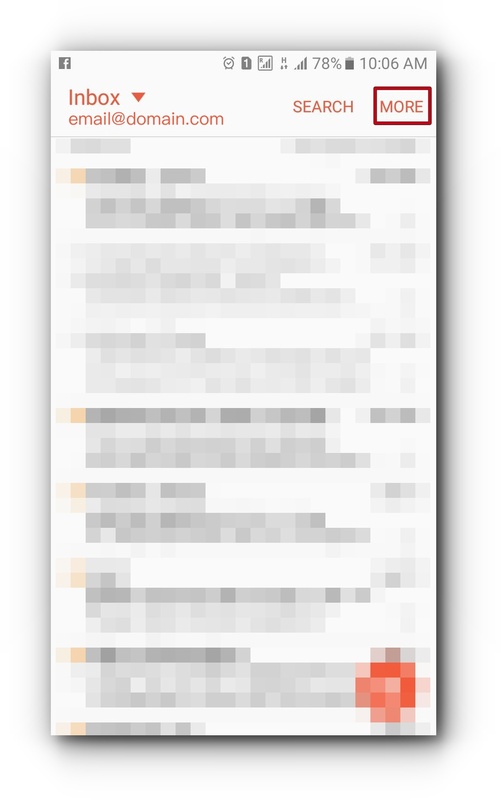 Open your Email application. Step 2. Tap MORE located at the top right. Step 4. 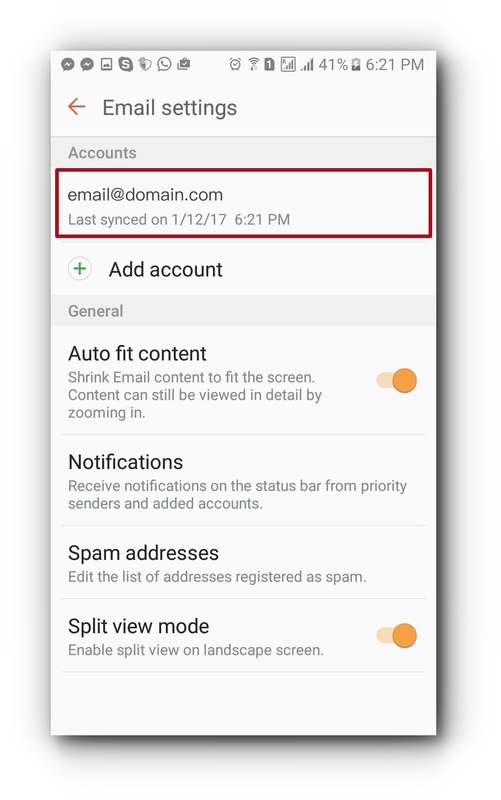 Tap on the email account. Step 5. 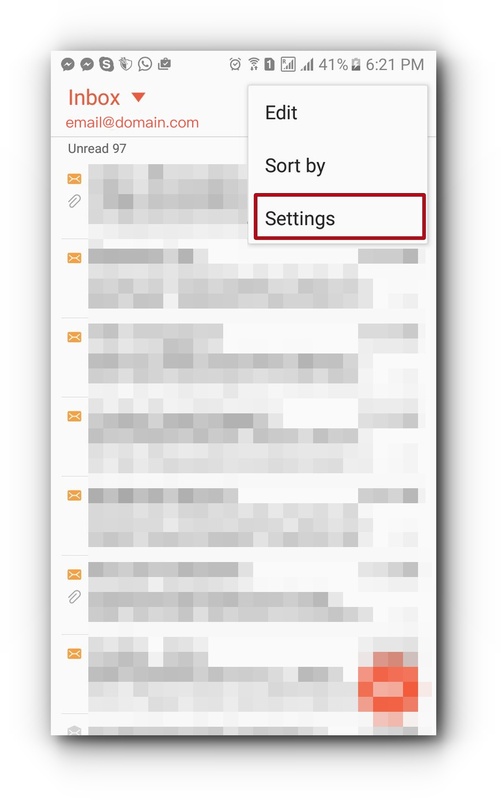 Scroll down and tap Server settings under Advanced settings. Step 6. 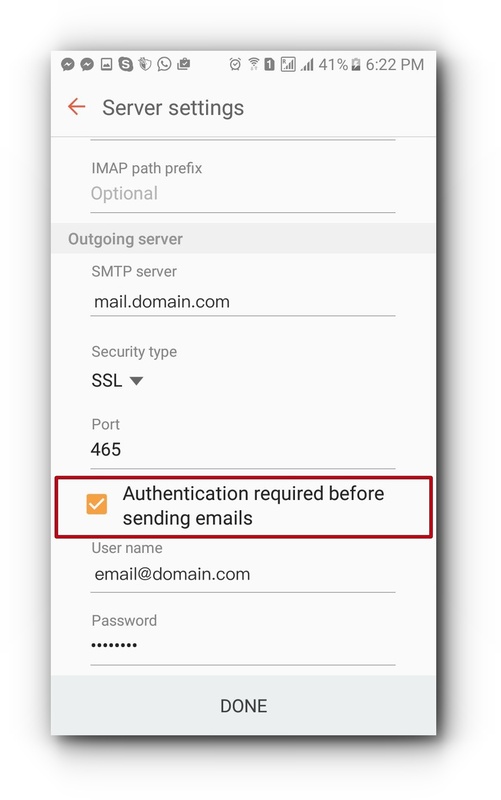 Scroll down, look for Outgoing server and make sure to tick the checkbox for Authentication required before sending emails.